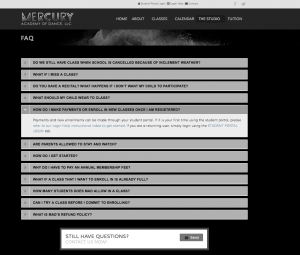 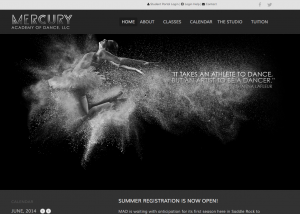 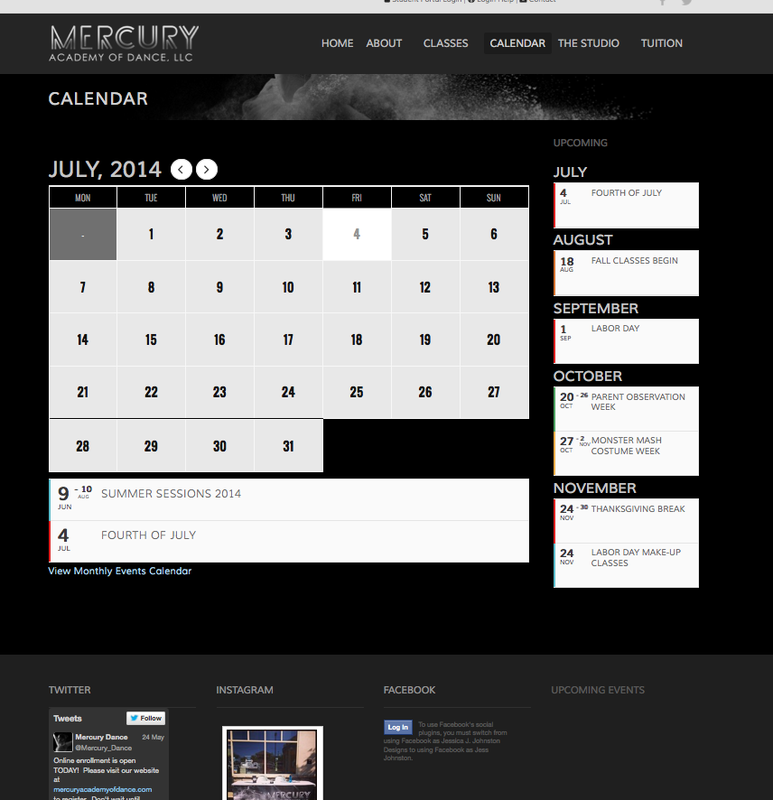 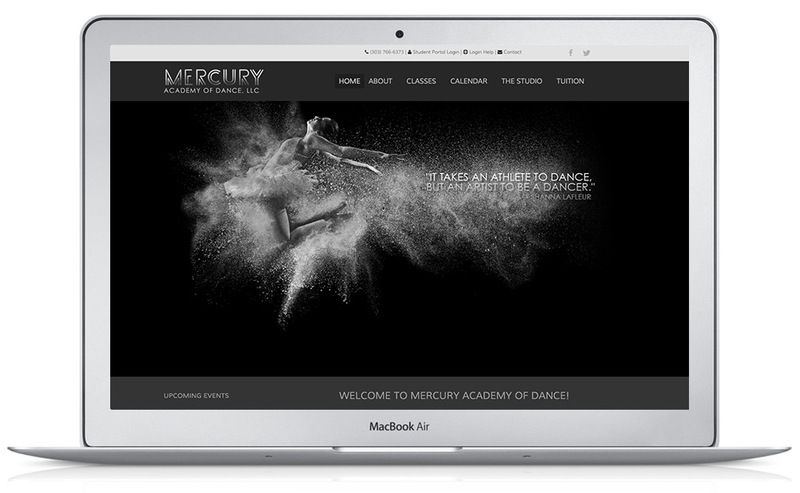 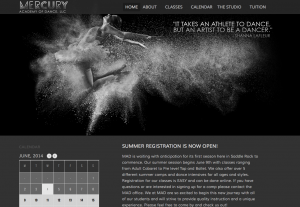 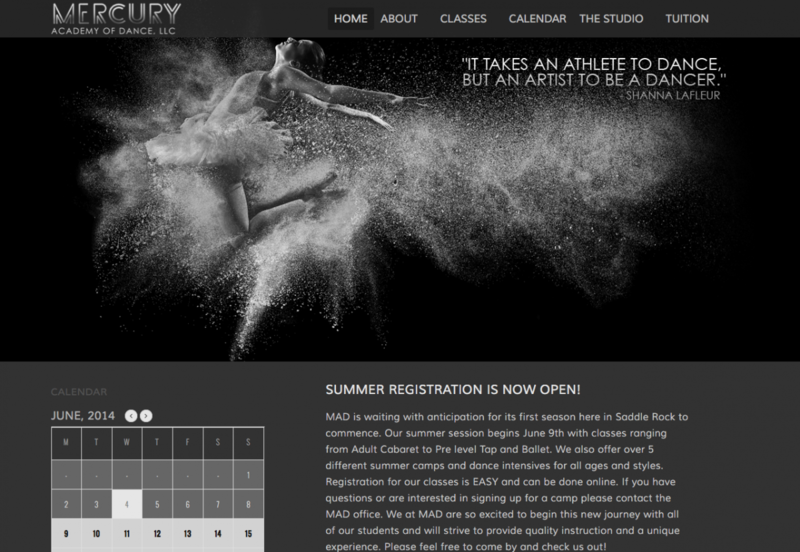 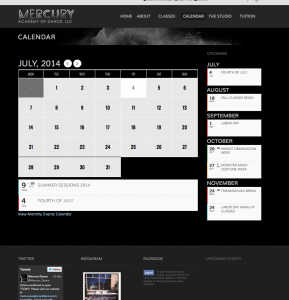 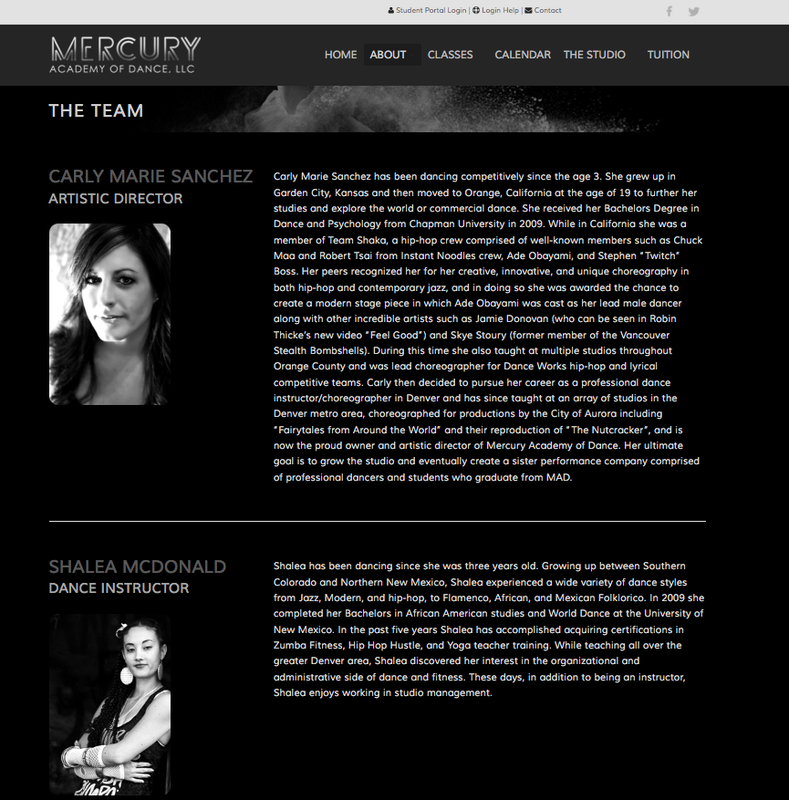 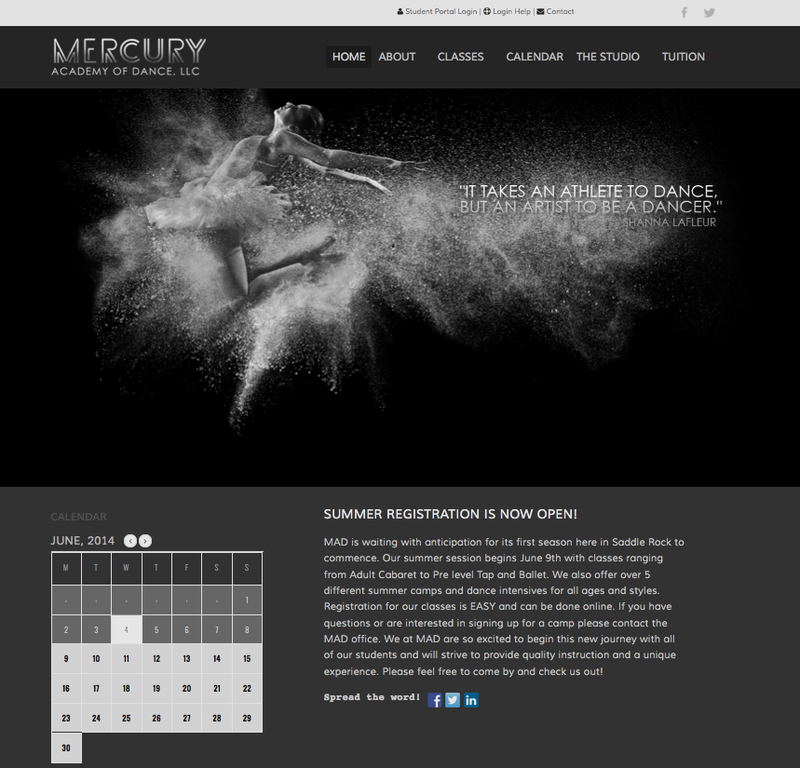 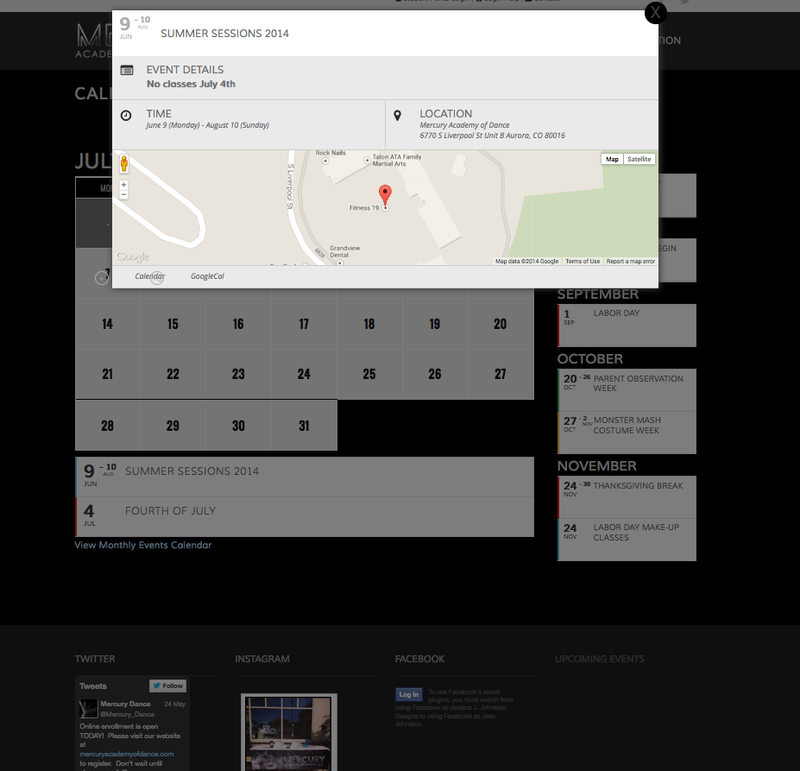 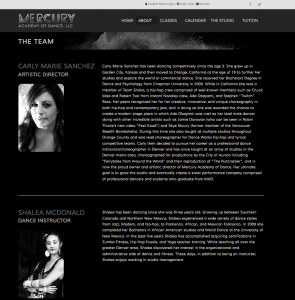 Mercury Academy of Dance Website Development • JJJ. 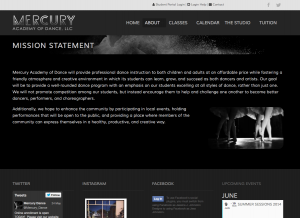 Built with WordPress as a CMS, this website homepage and overall ‘feel’ was designed by a friend, which I built out into a working, fully functional website. 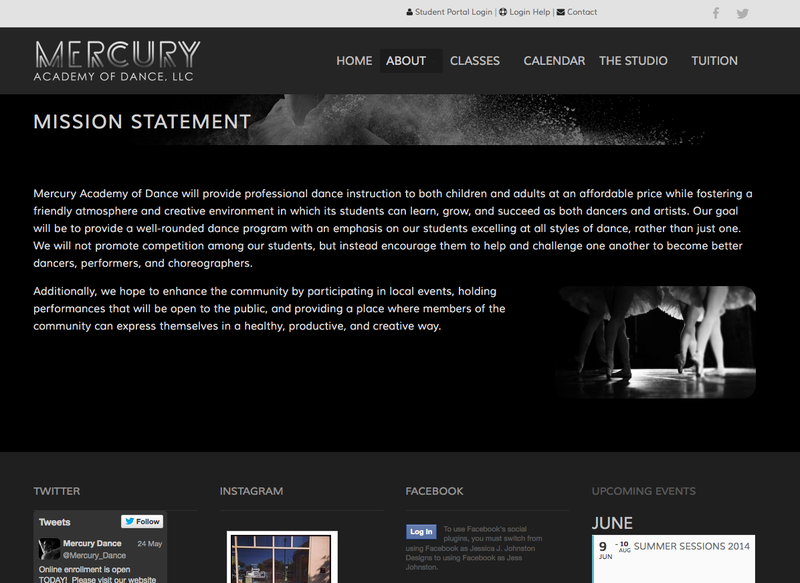 Basing the internal pages off the overall design I received, I built out the remaining pages to match.